Climate change is the most serious environmental challenge facing us in the 21st Century. Over the past few years issues such as adverse weather conditions, greenhouse gasses and the reduction of fossil fuels have been highlighted and local authorities across the UK are working together, and with external partners, to see what can be achieved to reduce climate change in their local area. Climate change means the changing weather patterns and the increasing extreme weather events caused by a build-up of greenhouse gases in the earth's atmosphere. The gas that affects the climate most is carbon dioxide, which is produced when coal, oil, gas or petrol are burned to generate electricity, for heating, or for transport. All the carbon dioxide from the energy we use ends up in the atmosphere causing changes to our weather. By reducing our energy use, we can reduce our carbon footprint, which will help to tackle climate change. Energy and fuel costs are rising, affecting the cost of delivering essential services, such as waste collection. Reducing energy use saves money as well as cutting carbon emissions. Almost everything we do produces carbon dioxide (CO2). 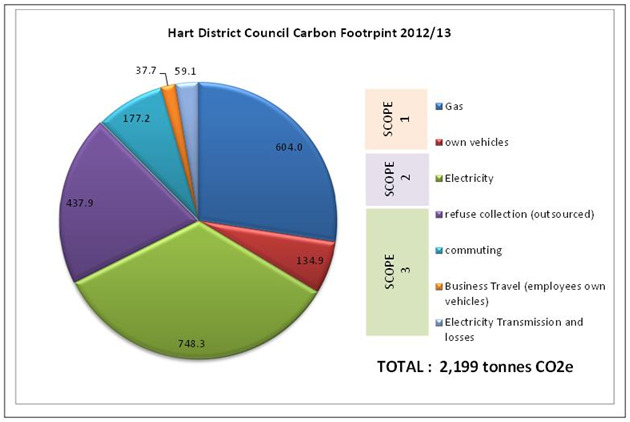 Your annual carbon footprint is the total of all the CO2 emissions produced from the things you have done in a year, for example driving a car, heating your home and so on. You can calculate your personal carbon footprint online. 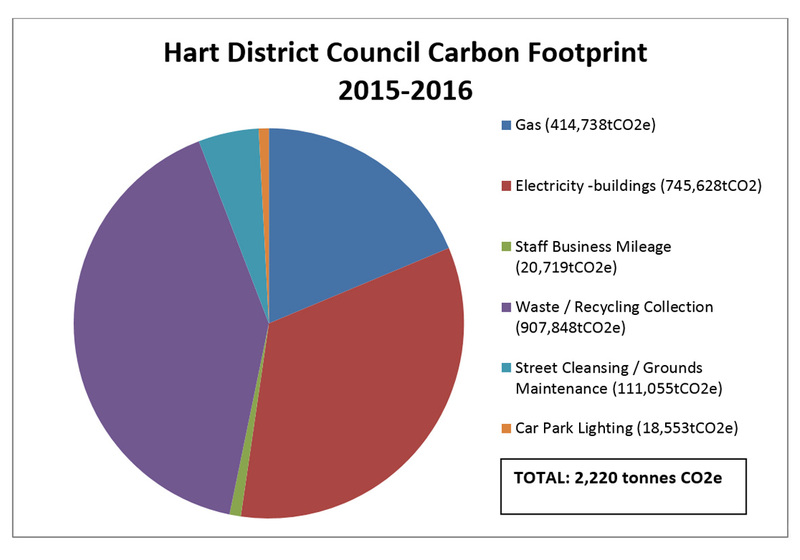 We recognise that, as a council, we have an important role, not only to reduce our own carbon footprint, but also to encourage others to do the same. Considering energy efficiency measures in our buildings.